Gary Arndt is an award winning travel photographer who has been to over 115 countries and all 7 continents. He was named Travel Photographer of the Year by the North American Travel Journalists Association in 2013 and 2015, and by the Society of American Travel Writers in 2014. 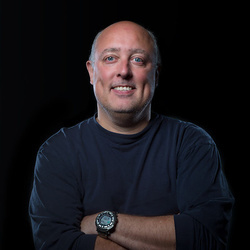 He is a three-time Lowell Thomas Award winner in the Photo Illustration of Travel and a two-time Northern Lights Award winner for photography of Canadian destinations.